Dr Charles Wereko-Brobby, a suspended member of the New Patriotic Party (NPP), has stated that the 2016 general elections would be a choice between chaos and incompetence. According to Dr Wereko-Brobby, while the NPP, the main opposition party, is embroiled in internal wranglings and chaos, the ruling National Democratic Congress (NDC) has demonstrated gross incompetence in handling challenges confronting the country. Thus the elections present an opportunity for Ghanaian electorate to choose between the NPP's chaotic manner of dealing with its internal problems and NDC's stark incompetence and ineptitude in the handling of the affairs of the nation which have driven the economy into the doldrums. “I weep for Ghana because the 2016 elections will be between chaos and incompetence,” Dr Wereko-Brobby lamented. Last Thursday, the NPP suspended its General Secretary, Mr Kwabena Agyepong and Second Vice Chairman, Mr Sammy Crabbe indefinitely. The National Executive Committee at a meeting upheld the recommendations of the Disciplinary Committee that the two national executives should be suspended. Graphic Online gathers that the Disciplinary Committee recommended a 15-month suspension, but the NEC after its deliberations decided that the suspension should be indefinite. The Disciplinary Committee made the recommendation after some party members filed petitions of misconduct against the two for openly questioning the party's decision to suspend its national chairman, Mr Paul Afoko. While Mr Agyepong appeared before the Disciplinary committee, Mr Crabbe boycotted it and questioned the powers to invite him. 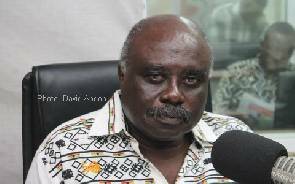 Commenting on recent happenings in the NPP on Asempa FM, an Accra-based radio station, Dr Wereko-Brobby described the purported suspension of the National Chairman of Mr Afoko, by the National Executive Committee (NEC) of the party as a coup d'etat. The NEC in a decision suspended the National Chairman following a recommendation by the Disciplinary Committee of the party. This was after some party members had petitioned them over the conduct of Mr Afoko, which they deemed detrimental to the party's victory in the 2016 general election. The decision has generated a lot of controversy, with supporters of the national chairman insisting that the NEC meeting is unconstitutional. Dr Wereko-Brobby said members of the NEC who took the decision have done a grave disservice to their flag bearer, Nana Addo Dankwa Akufo-Addo. According to him, the party, which is seeking to win power, has shot itself by the decision just months to the crucial 2016 general election. “Is the NEC behind or against Akufo-Addo? 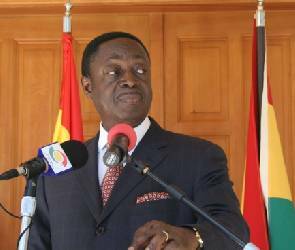 Today is a poor day for the NPP,” he bemoaned. Dr Wereko-Brobby, popularly known as Tarzan, who is also serving a two-year suspension for misconduct, said he was saddened by the developments in the NPP. He expressed disappointment in the NPP which most Ghanaians looked up to save them from the incompetent Mahama-led NDC.